What would a traditional German childhood be without a hot bowl of Grießbrei or Semolina Pudding for lunch? Mondamin provides you with your favorite childhood memory in the matter of minutes. Ready in just 5 minutes. Makes 2-3 servings. Cooking instructions are in the German language. 89g / 3.14 oz NET. WT. 48% DURUM WHEAT, sugar, starch, thickening agent (xanthan gum), emulsifier mono- and diglycerides of fatty acids, flavors. May contain traces of dairy products and egg. 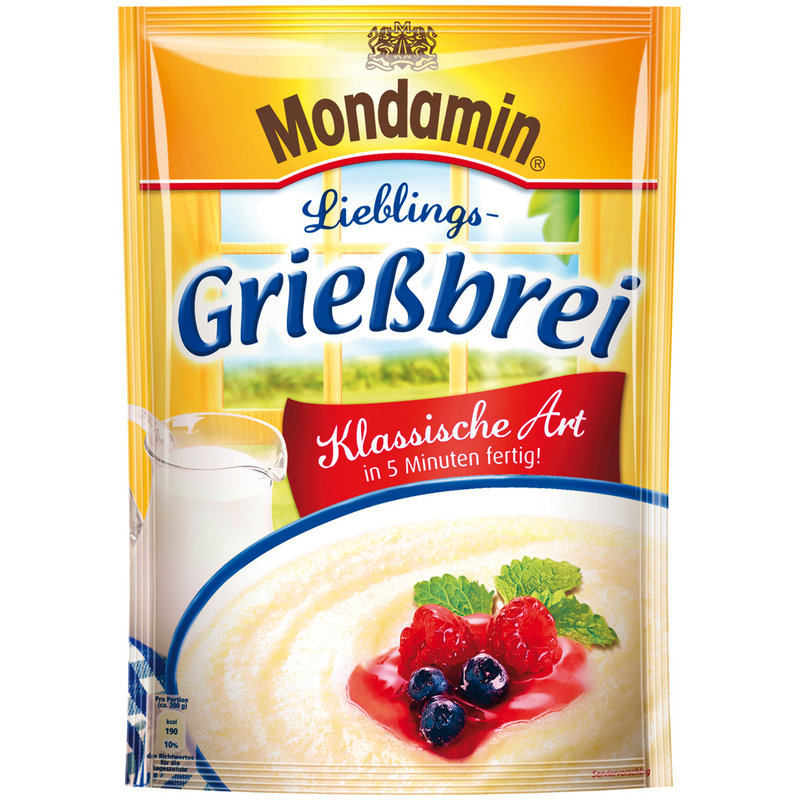 48% HARTWEIZENGRIEß, Zucker, Stärke, Verdickungsmittel Xanthan, Emulgator Mono- und Diglyceride von Speisefettsäuren, Aromen.